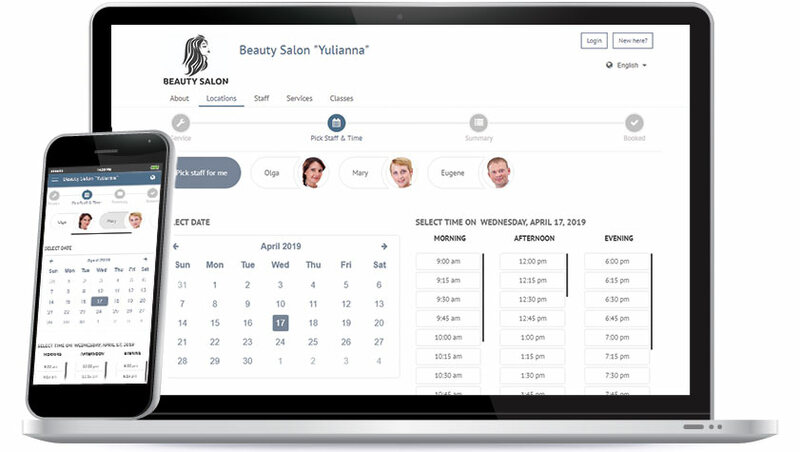 We aim to increase your business revenue while simplifying your busy schedule with our revolutionary online planning software. 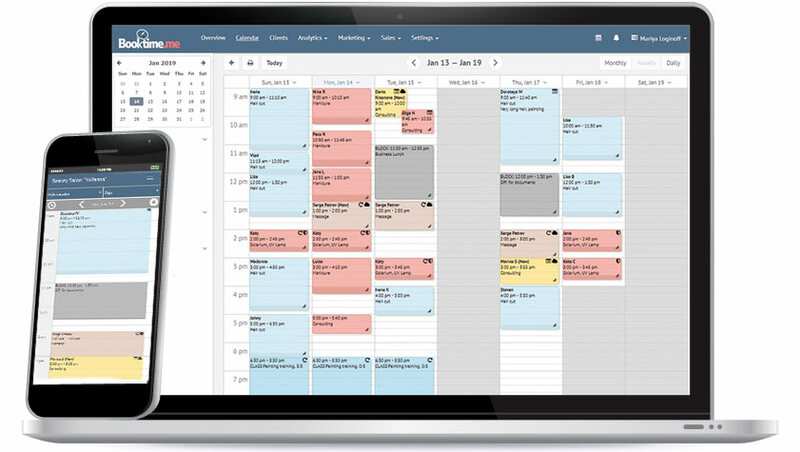 Say bye to paper and phone bookings and tedious planning work - Booktime allows your customers to schedule online meetings in real time. Book and attract new customers online through a fully customizable planning web page. Accept online payments, sell packages / gift certificates and promote your business with special promotional codes. Build customer relationships, manage their orders, raise bills and maximize your profits. Manage your business and stay in touch with your customers from anywhere in the world. Your customers will appreciate the Booktime experience with a fully customizable platform. Booktime calendar provides you with a clean and simple view of all your orders. All in one place. Manage and communicate with all your customers. View their data and records. Fully customizable booking page (colors, styles and fonts) in accordance with the aesthetics of your business. Available in several languages! A convenient way for your customers to book on their mobile devices. 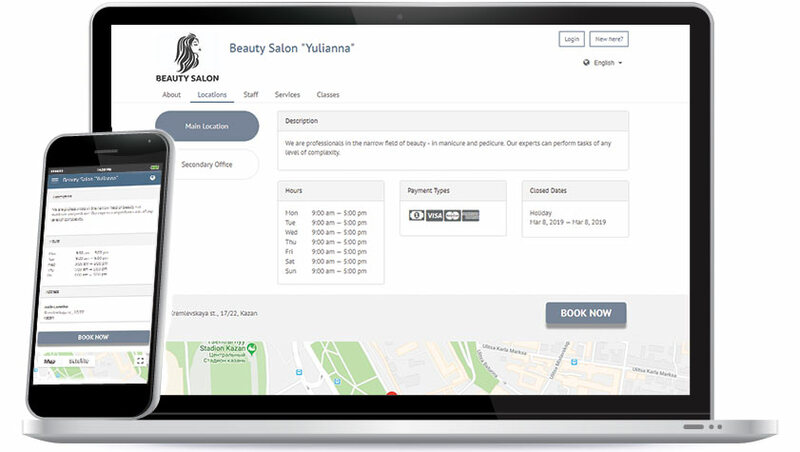 Your customers will enjoy the convenience of a quick and easy-to-use booking system. Allow your customers to book with or without creating an account! A convenient and efficient way to book your customers. I value my time and the time of my clients. It is very convenient to set up an automatic reminder of the upcoming reception, no need to waste time on calls. The customer receives an email reminder. It's great that you can organize an appointment for a master class with a limited number of people. Those interested can sign up at any time of the day or night. So great that during work do not distract phone calls. I have more time for fruitful work! Thank you for the great planner! Booktime online planning software has been developed to help thousands of companies around the world. Booktime is ideal for businesses of all sizes, large or small. Below are just some of the industries that use us.